One of the Southwest’s most layered and complex heritage sites rest quietly as an abandoned expanse of adobe and sandstone rubble and buried remains. The first pueblo to be visited by the Spanish, Hawikuh was once the largest Zuni pueblo – presumably first established in the early 1200s. The site of the pueblo contains centuries worth of archeological evidence likely to illuminate modern understanding of how ancient Mogollon and Anasazi cultures combined to create distinct Zuni practices that still exist today. Hawikuh was one of the rumored “Seven Cities of Gold” that first tempted the Spanish to venture north from Mexico into the present-day American Southwest. Conquered by the Francisco Vásquez de Coronado expedition in 1540, Hawikuh would quickly become an important Spanish stronghold and headquarters for both Coronado and his successors. Hawikuh reflects the interactions and cultural tensions mounting in the Southwest during the 16th and 17th centuries – particularly after missionary efforts began at the pueblo with the construction of La Purísima Concepción de Hawikuh Mission Church in 1629. With the abandonment of Hawikuh during the pueblo revolts of 1680, both the Zuni architecture and mission church at Hawikuh fell into ruins. Their remains are today within the larger Zuni-Cibola Complex, a National Historic Landmark district comprised of Hawikuh, the Yellow House ruins, Kechipbowa, and Village of the Great Kivas. Taken together, these four sites embody hundreds of years of American Indian precontact history in the Zuni area, the early Spanish contact, and the evolution of cultural practices that have shaped today’s Zuni tribe. Hawikuh is the district’s most powerful illustrator of early Spanish-Indian interaction and influence in New Mexico. The original pueblo of Hawikuh sat atop a long, narrow ridge on the eastern side of the Zuni River Valley. Although the exact date of its founding is not known, archeological evidence places inhabitants in the area as early as the 1200s. Six large, irregular structures are believed to have made up the original city. Separated by a system of open passageways and small plazas, sections of each structure ranged from one to three stories in height. Carefully constructed out of local sandstone, the buildings likely had thick adobe mortar or red clay holding the stones together and walls covered in smooth adobe plaster. 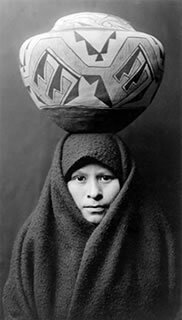 Of the six Zuni cities of Cibola, Hawikuh was by far the largest: reports from the early 16th century estimate that approximately 700 people populated the pueblo. The other known Cibola cities include Kechipbowa (also included in the Zuni-Cibola Complex National Historic Landmark), Halona, Matsaki, Kiakima, and Kwakina. Rumors throughout history had it that a seventh “City of Cibola” or “City of Gold” also existed but there is no concrete evidence of the seventh site so far. Esteban (Estevanico), a black Spanish slave originally from Morocco, was the first non-native explorer to discover Hawikuh. When a shipwreck off the coast of Texas left Esteban as one of few survivors, he began traveling across the Southwest, noting languages, cultural practices, and locations of pueblos. He eventually reached Spanish territory in 1536. The Viceroy of New Spain, Antonio de Mendoza, sent the first Spanish expedition into present-day New Mexico on hearing Esteban’s accounts of great riches to the north – particularly the purported Seven Cities of Gold. Esteban led the way, acting as a scout to his Spanish companions. In 1539, Esteban first glimpsed Hawikuh and likely visited. The historic record and oral histories differ on the exact sequence of events that followed. It is agreed, however, that shortly after Esteban made contact with the Zunis in Cibola he was killed by tribesmen – within either the Hawikuh pueblo or a neighboring village. When news of his death reached his entourage, they feared for their lives and returned to New Spain. With the path already forged by Esteban, and further reports of large, wealthy cities, Viceroy Mendoza charged the Francisco Vásquez de Coronado expedition to continue exploration of the lands to the north. When Coronado and his men reached Hawikuh the following year (1540), they were disappointed to find the rumored golden city to be nothing more than a dusty, crowded Zuni village. After a brief skirmish resulting in several Zuni deaths, Coronado and his men took possession of the pueblo. The immediate violent encounter and ill-treatment of the natives by the Coronado expedition would set a pattern for Spanish-Indian conflict in the Southwest. After the siege, the pueblo remained Coronado’s headquarters for a number of months. Subsequent Spanish explorers including Chamuscado and Rodríguez (1581), Espejo (1583), Oñate (1598 and 1604-05), and Zaldívar (1599), visited the pueblo. Records over time repeatedly noted that Hawikuh was the largest, most important pueblo in all of Cibola. Spanish missionary efforts began at Hawikuh in 1629 when Fray Estevan de Perea traveled to the major Acoma, Zuni, and Hopi pueblos to begin Catholic teachings. That same year, the Spanish established and constructed Mission La Purísima Concepción at Hawikuh. Religious and cultural tensions grew within the pueblo and came to a head a few years later when the Zuni killed the resident priest, Fray Francisco Letrado. The Zuni people, fearing retaliation from the Spanish, fled to hide in the mountains, not returning to Hawikuh until three years later. Reestablished by the late 1650s, the mission at Hawikuh then suffered constant Apache raids from the south. One, in 1672, resulted in the death of another priest and the burning of the mission. After the mission’s reestablishment yet again, the Zunis joined the general pueblo uprisings in 1680 and destroyed Mission La Purísima Concepción a final time. The Zuni and the Spanish then abandoned Hawikuh completely, never occupying it again. The former Zuni community and Spanish stronghold is now in ruins. 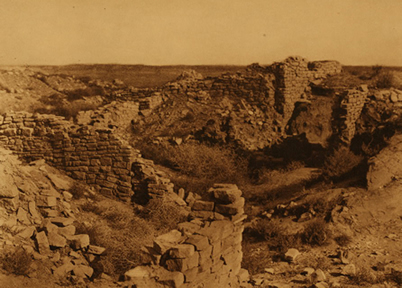 From 1917 to 1923, archeologist Frederick Webb Hodge led an excavation of the site unearthing several sandstone walls and foundations and various rooms and artifacts throughout the ancient city. Mounds of rock, potshards, and rubble still mark large unexcavated portions of the site. All that remains of the Mission La Purísima Concepción and its monastery are eroded adobe walls two or three feet high. Although Hawikuh is little more than debris, its archeological, scientific, historic and cultural importance cannot be overstated. The pueblo bridged the precontact and early Spanish-eras in New Mexico, and the site still contains valuable, unexcavated information from these epochs. Hawikuh was designated a National Historic Landmark in 1960, and later included in the Zuni-Cibola Complex National Historic Landmark in 1974. The Hawikuh ruins are on the Zuni Indian Reservation. The Zuni Pueblo offers tours of the site for a fee. Visitors should make reservations at least a week in advance to ensure availability. 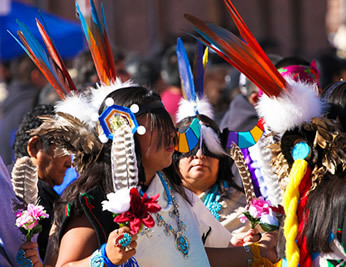 For tour information, please see the Zuni Pueblo Department of Tourism website. Hawikuh is a National Historic Landmark and is part of the Zuni-Cibola Complex, which is also a National Historic Landmark. Hawikuh is located on the Zuni Indian Reservation off NM Route 53, approximately 12 miles southwest of the city of Zuni, NM. Click here for Hawikuh’s National Historic Landmark file: text and photos. Before your visit, check with the Zuni Pueblo Department of Tourism website regarding access to the site and for tour information, and call the visitor information center at 505-782-7238 to make reservations for a tour. The Zuni Pueblo offers tours of the site for a fee. Visitors should make reservations at least a week in advance to ensure availability. Hawikuh is also featured in the National Park Service American Southwest Travel Itinerary.